Still, this Sunday’s Austrian Grand Prix had many of the same dramatic devices used in the 1993 blockbuster movie, although there wasn’t quite as many dinosaurs as expected. None, in fact. I digress. There were a heck of a lot of talking points to this one, and personally I thought it was one of the best races of the season. 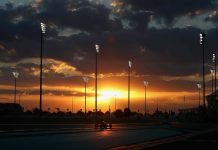 With the three softest tyre compounds on offer, there were a whole host of different strategies, and it made for truly unpredictable and exciting viewing, as well as various scuffles and seismic events. Red Bull Racing have had pretty horrible luck at their home race since its return to the calendar in 2014. Max Verstappen (8th) and Daniel Ricciardo (10th) were the only Red Bull cars to score points last year, and the year before, Daniil Kvyat, Jean-Eric Vergne and Sebastian Vettel all retired, with Ricciardo down in 8th. Perhaps lamenting all those lost points, the creative team over at RBR decided to adorn the team’s overalls with a classic Austrian lederhosen design. Now, some will say both drivers had pace all weekend. Some will say the RB12 is a better car than its predecessors. However, if you know your stuff, you will be aware that the lederhosen did all the, ahem, legwork, and is the sole reason for Verstappen’s podium and Ricciardo’s fifth place. It’s somewhat reminiscent of McLaren’s 2011 initiative where fans could design their own overall designs for Lewis Hamilton and Jenson Button to wear during qualifying and the final race of the season in Abu Dhabi. And importantly, it marks the first ever instance of lederhosen appearing on the podium. Whether anyone wants it to happen again is up for debate. Wet-dry qualifying; a perfect opportunity for a mixed-up grid. Nico Rosberg and Sebastian Vettel had gearbox penalties, so some shuffling was always inevitable, but seeing Nico Hulkenberg pop up in P3 (P2 after penalties) and Jenson Button in P5 (P3 after penalties) was perhaps more-so than expected. Button had a good start, leaping up to second place after Hulkenberg’s poor start and holding off Kimi Raikkonen for seven laps. With Fernando Alonso retiring just seven laps from the end of the race, McLaren had to pin their race hopes on that handsome stubbly chap from Somerset, and he totally delivered, nabbing 6th place, his best finish since the rain-soaked 2015 USA GP. It’s especially impressive when you consider that McLaren were predicted to struggle around this traditionally power-based circuit. Button mugged Valtteri Bottas on pure pace, and considering their straight-line speed, it could signal good things for McLaren. Button’s result also puts McLaren on 32 points, which is 5 more than the team scored in the entire 2015 season, so the progress, finally, appears to be on its way. Much like the Energizer Bunny, Max Verstappen just kept going and going in Austria. The 18-year-old began the race-in-the-mountains on the uultra soft tyre, and came in to pit on Lap 15 for a set of soft compound tyres, which were the hardest available. The soft tyres were the hard tyres. Confused? Good. Unbelievably, he was still shod in yellow rubber (not the sort used for dish washing though) come the end of the race. That’s a whopping 56 laps on a track which is about in the middle for tyres consumption – there are some slow corners, but the medium-speed corners in sectors two and three do take their toll. Much like his maiden win in Spain, Verstappen had to fend off Kimi Raikkonen on very old tyres, proving that he is not only a an aggressive overtaking phenomenon, but a bona fide master of tyres, and a defensive driver too. That’s a genuine triple-threat right there. Hoo boy. I could hardly believe my eyes when I saw the two Silver Arrows collide on the final lap. It was the most scintillating grandstand finish, akin to the climax of the 2011 Canadian Grand Prix, which was the last race to feature a final-lap lead change. The stakes though, were even higher here. Then, Jenson Button was already 67 points behind Sebastian Vettel, and in fourth place in the championship, when he sailed past him on the final lap in Montreal. This, however, is possibly/probably/inevitably the turning point of the 2016 championship (delete likelihood modifier depending on driver allegiance). Unlike the ghastly collision in Spain, this crash is an open and shut case. It was Rosberg’s fault. What do we know? Rosberg was on softer tyres than Hamilton, so had more grip initially, but the soft tyres were likely to have faded somewhat by Lap 71 after pitting on Lap 56. He also, more importantly, had a braking issue. Lastly, Hamilton had the racing line, and was planning to sweep across the track from the left to the right, clipping the apex and going off on his merry way. Rosberg had other ideas though, and dived down the inside. It was a fair enough decision – inside line determines the track decision, but Rosberg understeered. Hamilton’s only option would have been to go off-track, but having already began turn-in while that happened, the collision was inevitable. Nico lost his front wing, Hamiton zipped past (and it was legal, because you are allowed to overtake a damaged car under yellow flags) and the rest, as they say, was history. The boos from the admittedly, probably quite German, crowd were uncalled for and pretty unsporting. Rosberg got a penalty for his mistake, and Hamilton won the race. Time for all parties to move on to Silverstone. Finally! I’ve been trying to find a bloody excuse to use this pun all season. Pascal Wehrlein was impressively mixing with Valtteri Bottas, the Saubers and Esteban Gutierrez all race-long, with the Manor known for its speed on straights, of which the Austrian circuit has four. With Felipe Massa lining up in the pit lane, the P10 spot on the grid was left empty, and Wehrlein nearly ruined all his hard work in qualifying – where he put himself an incredible 12th – by parking in the wrong box. He reversed back into P12, and since the Stewards couldn’t find a rule against reversing into a grid slot, he was not penalised. Phew! 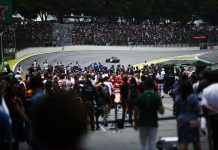 After racing in the thick of the action all race long, things fell into place when Sergio Perez had some sort of braking/suspension failure on the final lap, handing tenth place – and thus one world championship point – to the Mercedes development driver. And most importantly, as we just discussed, I got to use my pun. Yay! On a serious note though, the result is of course the first the team have scored since changing from Marussia to Manor, and the first since Jules Bianchi’s two points in Monaco two years ago. The team have been through heartbreak, and barely survived the 2014 off-season, but after one year of limping round with an old engine and chassis the reborn Manor team – a proverbial phoenix from the flames – have finally got something to show for the struggle. THAT, ladies and gentlemen, is what sport is all about. I’m a staunch believer that underdog success stories are the best thing that comes out of sport. It’s what made Minardi so adored for three decades. It’s why Arsenal, Spurs, Chelsea, United and City fans alike rejoiced when Leicester seized the Premier League crown this year. It’s why the Mighty Ducks is a movie. It’s only tenth place. Wehrlein is not going to win the WDC. But that little taste of the good life, for a team who has scored 3 points in 120 races, is as good as one. And I say Wehrlein won’t be a champion, but with Rosberg labelled “Brainless” by his own team principal Toto Wolff, prompting more driver line-up speculation, who’s to say that Wehrlein’s point isn’t the most valuable he will ever score?